We are Importer and exporter of Okoume Veneer. and available in Okoume wood venner. # ALL OUR PRODUCTS ARE MANUFACTURED in M.P. (Indian)Teak wood only. - GRADE - 1st , AVERAGE , AVERAGE MINUS , C Grade. - SIZE - 8x4 , 8x3 , 7x4 , 7x3, 6x4, 6x3 , 6x2.5 And door size. 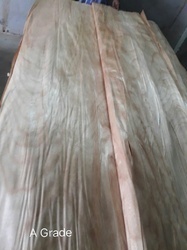 Veneer peeled from high quality Gurjan and Keuring logs are available in sizes and thickness in as per order and also Gurjan core veneer is available in 1.8 and 2.5 mm thickness. Face Veneers are Crafted with sheer elegance, this range of veneers promises to be a visual treat. Gurjan face Veneer C minus grade available at Nagpur Godown. 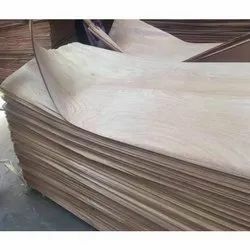 We offer and facilitate Natural Face Veneer from origins like Burma(Myanmar), Vietnam, Laos and Recon Veneer from China, in different thickness. We are holding a stock lot of Face Veneer Ply. Riding on unfathomable volumes of industrial expertise, we are manufacturing an excellent range of Face Veneer. Our reputation in the market is largely attributable for manufacturing Wooden Face Veneer.